The Metropolitan building was designed by Detroit firm Weston and Ellington and completed in 1926. Originally built to house wholesale and retail jewelry businesses, it anchored Detroit’s then-thriving jewelry district in the Broadway, Woodward and John R area, which included noted establishments such as Wright Kay, Simmons & Clark and the Meyer Treasure Chest. An early victim of Downtown’s long retail decline, the building closed in 1977, making it the longest-vacant structure currently in Downtown Detroit. 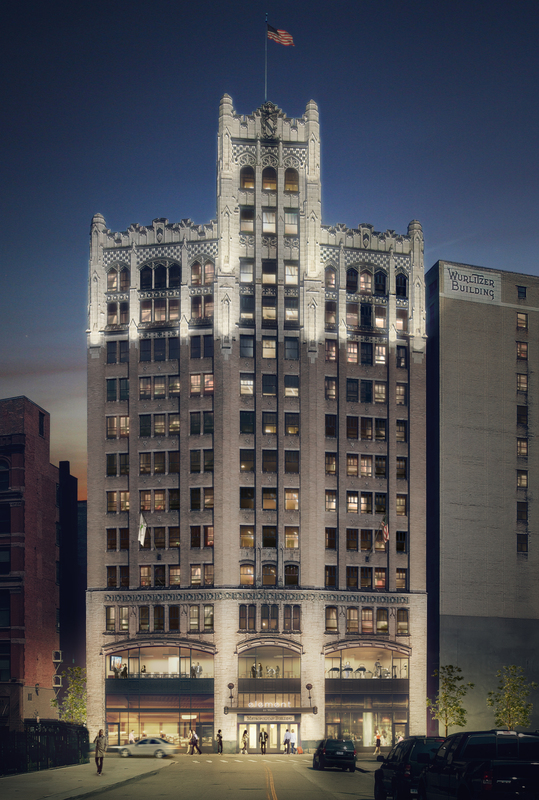 Metropolitan Hotel Partners, a joint venture between The Roxbury Group and Means Group, purchased the building in 2016 and is currently restoring it to its original neo-gothic grandeur inside and out. The building will soon house a 110-room Element Hotel by Westin, a Starwood/Marriott flag.